The first teaser trailer for the upcoming Super Sentai/Metal Hero crossover project Uchu Sentai KyuRanger VS Space Squad has been released! Full story details have not yet been confirmed, but early descriptions have hinted that one KyuRanger will commit a felony & as a result the entire team becomes targeted by the Space Sheriffs. 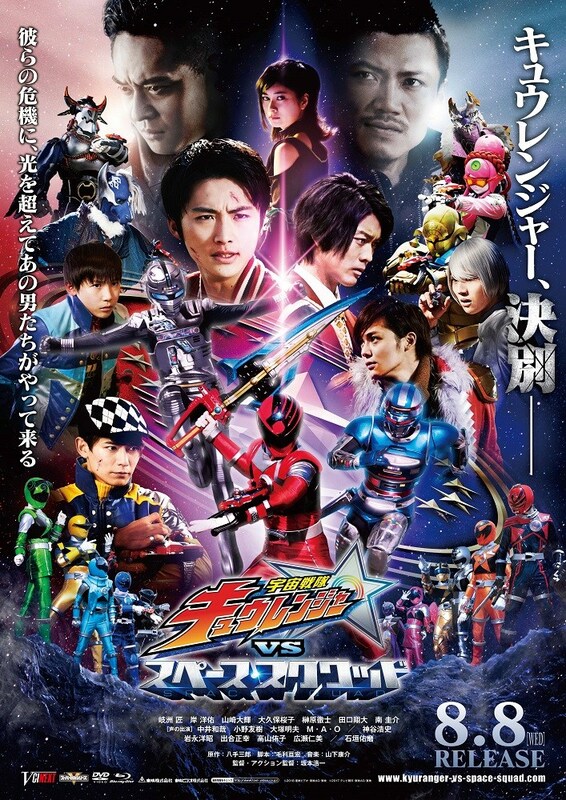 A poster for the film has also been released, detailing the return of the entire KyuRanger team along with the Space Sheriffs Gavan and Shaider. KyuRanger VS Space Squad will be released on August 8 2018! Stay tuned to TokuNation as we keep you up to » Continue Reading.